The IPC-B140H bullet camera has a 4 mega-pixel sensor that exceeds the HD CCTV standard and delivers consistently clear images. Its bullet style design benefits from a 3 axis bracket allowing for wall and ceiling mounting. Further benefits include a compact but visible design allowing installation to properties without the unsightly visual impact of traditional housing style cameras, but still offering some level of visual deterrent. When used with one of the new HiWatch CCTV recorders the camera becomes a completely plug and play solution making installation for even a novice quick and hassle free. These bullet cameras with their EXIR infrared LED's typically perform better in low light than the equivalent dome camera as they suffer less with infrared bounce back from the dome bubble. For improved tamper resistance and aesthetics we suggest that you purchase the deep mounting base to contain the camera lead and connectors. 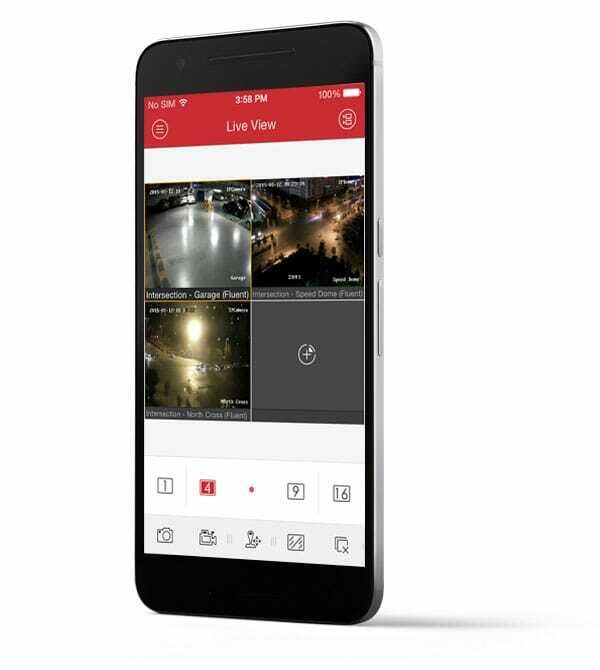 The new Hik-Connect or Guarding Vision cloud based service available on Hiwatch CCTV cameras and recorders makes setting up mobile and remote viewing easier than ever. No complicated port forwarding or router configuration required. Get clear live HD images and access recorded footage on the go without any complicated technical setup. The mobile viewing app is available as a free download for Android and iOS devices from the relevant app stores. Requires Android 4.0 or iOS 8.0 or above. HiWatch is the exciting new range of high quality CCTV cameras from Hikvision the worlds leading CCTV manufacturer. Hikvision are at the forefront or research and development in the CCTV industry and by using highly controlled manufacturing processes and stringent quality control they deliver consistently reliable and high quality CCTV products. Why buy the HiWatch IPC-B140H 4MP IP H.265 Bullet Camera 2.8mm from Connectec? We are approved HiWatch by Hikvision resellers for direct access to manufacturer warranty and support.